Rachel Gollay is the fearless leader of Big Cartel’s Support team. Her team helps hundreds of shop owners each day, and Rachel makes sure her team has all of the tools they need to do their jobs well. In her spare time, Rachel fronts the award-winning band Gollay, which will break your heart in the best way, if you give them a listen. We caught up with her to find out how she’s using all that talent these days. Rachel, what’re you up to lately? A few weeks ago, I spent the day volunteering at Girls Rock Fort Worth. I led songwriting workshops for campers age 8-16 and shared some of my own tips and advice for the creative process. Honestly I learn more from them! What does the songwriting process look like for an eight-year-old? These kids are pretty fearless - even the shy ones really blossom in the right encouraging, safe environment which the camp is so adept at cultivating. For songwriting in particular, it’s a process familiar to all artists: a lot of throwing things at the wall to see what sticks. 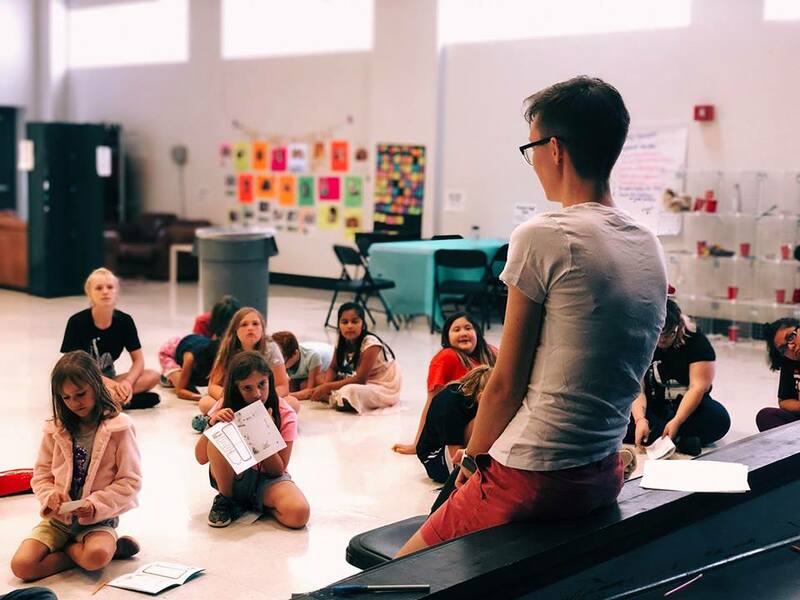 Whether it’s a song about familiar themes (independence, strength, empowerment) or a ballad for a blobfish, potato, or robot cat (all topics that have been richly mined by our campers), the kids do a lot of collaborating with some guidance from counselors and band coaches to ensure all voices are heard. Rallying around that shared goal of writing and performing a song by the end of the week can be a really powerful motivator. How did you and Girls Rock find each other? Shortly after it was released, I saw Girls Rock! The Movie, a documentary that gives a glimpse into the first Girls Rock camps and the driving philosophy of empowering young girls to be fearless and creative. I knew I wanted to get involved locally if the opportunity came up. When a group of women in Dallas got the first camp going in 2013, I immediately jumped at the chance to be a guitar instructor and band coach. I was hooked! Now we’ve got a camp established in my home base of Fort Worth, and it’s been so rewarding to watch it take off. What’s your favorite thing about volunteering with this group? I love getting to spend time with young folks in a creative, empowering, energizing atmosphere. It’s so cool to see them get more confident over the course of the week and build these amazing friendships around a shared love for music and art. It’s the kind of camp I wish was around when I was a kid! What do you want to shout from the rooftops about Girls Rock? There are Girls Rock Camps all over the world, and getting involved is fun and rewarding. Check out Girls Rock Camp Alliance to find a camp or start your own in your city! Did the workshop spark any ideas for your own music? Absolutely. A lot of what we teach the campers are reaffirmations for the adults, too: “done is better than perfect” and “the world needs your art” are mantras that we can all incorporate into our creative lives, whether young, old, amateur or professional. Those are reminders I need when perfectionism and insecurity take hold. Above all, they inspire me to grab my guitar, sit down with a voice recorder and a notebook, and trust whatever comes next. And I personally can’t wait to see what these up and coming generations of rock stars have in store for us.